Looking for twitter clients? There are many options other than the web interface and twitter mobile app. There are many twitter clients for android owners. Today is the time for the boom of social media. Everyone is eager to make their presence felt in the virtual world through social media. One of the popular social media platforms is Twitter. This is a micro blogging website which has billions of active users who tweets one or the other thing every moment. Today when internet is at a different level and many people are using smartphones why not using Twitter on your smartphones. Using Twitter on your mobile would help you remain connected 24/7 and as you are connected and tweeting every now and then it might fetch you more organic followers to your account. Are you feel bored using the official Twitter app on your smartphone, try these alternatives. 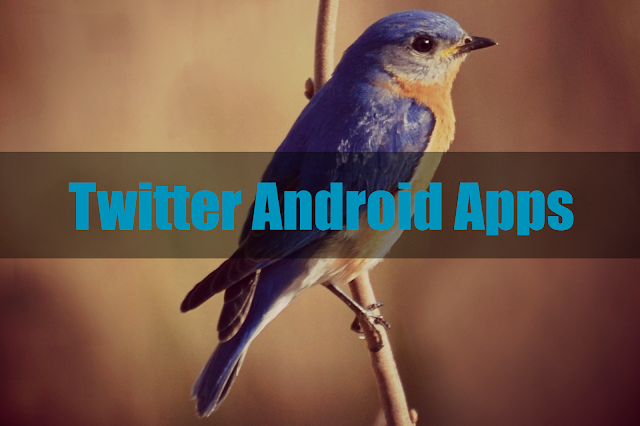 This list contains best twitter app android phones owners can easily download from google play store. This also includes twitter third party apps. TweetCaster Pro is an alternative android app for Twitter, which may not have a savvy design and look but as far as reliability is concerned it takes the top rank. The advantage of this app is its speed compared to that of Twitter’s official app. This app has lots of options for customization and it clearly sign posts the direct posts and mentions into the app window. Plume is a straight forwards Twitter app for your android smartphone. This app has the feature that allows you to jump from one tweet window to another by swapping your phone or tablet screen as the tweets are fed vertically. This app is fast and reliable to use. The easy to use navigation pane at the top helps you access Timeline, Mentions and Direct Messages. The best feature of this Twitter app is that it is a free app from Google Play store. The technology of downloading and installing this particular app in your smartphone or tablet is a little complicated but if you can crack that down and install it you can be rest assured that you have the best android app for Twitter. This app shows the number of unread messages. Tweet Lanes is another free android app in Google Play store that you can use as an alternative for Twitter official app. However, the free app has reached its token limit way back in November 2012. This app gives a fresh and original look and feel of Twitter experience. The app has a Context Box, which sends the tweets and it always present on-screen. This is another free Twitter app that Google Play store offers to its users. This app is kind of building your own Twitter app from the scratch, and that too without writing a single code anywhere. You can customize the look and feel of your Twitter app by choosing your favorite typeface, theme, color and background. You can also customize the display of the tweets including texts, images and interactive contents. This alternative Twitter app is one of the finest apps in the block. Its numerous numbers of customization options makes it a choice for the users. The customization features of this app enable its users to change not only the look and feel but also the functionality as well. The app has both portrait and landscape dual-pane option to view the tweet feeds. This is a free Twitter app, which looks simple yet attractive option for the users. This simple Twitter app has lot of fans. One of the features of this app is that each feed or timeline has its own refresh button that allows the user to refresh a tweet feed faster than refreshing the entire pool of tweets. This app is lightweight and avoids heavy bloated interface. The by default refined and modern design of the app makes it a choice for many Twitter users. If you do not want to change any look and feel of an app yet need it to look trendy this app is just right for you. Timeline, Mentions and Direct Messages tabs are placed at the top of the screen and scrolling down the window is as smooth as butter. This is a simple Twitter app for people who just want to tweet and read tweets without being fascinated by the look and feel of the app. It has a three column design, which is separated by the icons placed at the top of the screen. You can move these icons from left to right and you need to tap on the tweets in order to see the replies for them. Hootsuite is the most popular Twitter app for social media managers, business owners and marketers. This app is one of the most popular desktop services that offer the management of accounts from other social networking websites like LinkedIn, Facebook, Foursquare and Twitter. This app helps monitoring all these four websites at a time. This app allows you to configure the way you want to see it. It is a super-fast easy-to-use Twitter app for your Android smartphone. This app can smartly get synced with all your devices easily. Its fully featured dashboard widgets it is main attraction. It has the feature of muting particular users and also gives you background notification alerts for Direct Messages and Mentions. This app also allows you to manage multiple Twitter accounts at ease and it has full Twitter functionality. One of the nest features of this app is it collects tweets of an individual user and display it in chronological order. It allows you to follow many people on Twitter without a long timeline. This is a beautiful app for Twitter users as it branches out the tweets as per individual users and tapping each tweet would display the status of that particular tweet without opening the others. This app is the one stop shop for managing your social network in one place. It not only allows you to manage multiple Twitter account but also allows you to manage your Facebook account as well. It has Mute feature that allows you to ignore tweet feeds of particular users. The simple yet powerful features of the app make it the best Android app in the block. Buffer is one of the best ways to share your tweets with the Twitter world. This is one of the feature loaded Android app that is being used by many people. This app has the feature of hassle free update of tweets and feeds in the Twitter window. The best part is this app gets integrated with other Android Twitter apps like UberSocial, Plume, Seesmic and others. This is a modern day app that has adopted the complete design guidelines of Google in functional and sensible way. It has a sleek interface design and loaded with lots of feature that can mesmerize its users. You can customize your tweet window as many times as you want with various look and feels. It has the feature of managing multiple accounts but for first time users it is recommended not to use more than two accounts. Twitter is the official app for your Android smartphones and tablets. This comes with the regular features that we can see in the website of Twitter. It is a free app. It has background notification alerts for the Mentions and Direct Messages. Navigation through various panes is smooth and easy. This is the most popular app in the block and you can customize its look and feel as well. We have seen a number of apps that you can use as an alternative to the official Twitter app. All these apps are loaded with unique features. It is up to the user what works best for them. With the ever-changing horizon of gadgets and apps, Twitter apps are always evolving to tap spaces that new users are creating. with Twitter apps, the user experience regarding Twitter is also getting enhanced. AS Twitter and Facebook are generally considered the two main pillars of modern social networking, and Android is clearly the mobile operating system of choice for the majority, it's obvious that the popularity of the above-mentioned apps will keep growing.